You read that correctly, that’s right.. I got the job at Walt Disney World! 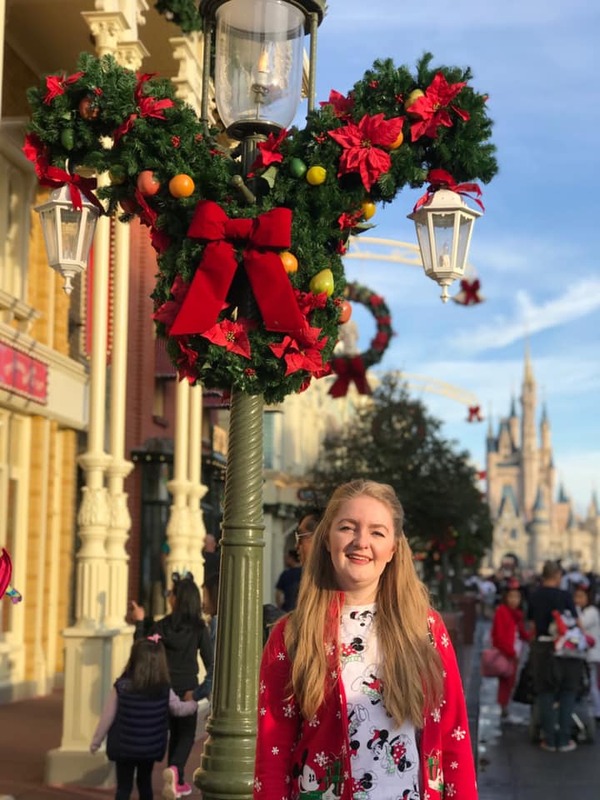 If you live in the UK, have a passion for anything Disney and have always wanted to work for them.. Then this is the right post to be reading. I have accepted a job on the Cultural Exchange Program at Walt Disney World. This program is for Summer 2019 where you can work on a number of different roles from attractions, to custodial. Who do you go through for these programmes? You go through a company within the UK called Yummy Jobs. They will carry out the Pre-Screen Interviews and sort out all of the document process also. This program is for the summer from June to August. You MUST be enrolled at a university to apply for this. On this programme, you can gain an insight to new cultures whilst working at Walt Disney World. Sounds amazing right? You can work within different roles from attractions to custodial. The role choices are much larger than the other programmes, but the program is much shorter and only open to university students. The applications for this program usually open in June/July each year. The competition is high, but never give up or stop dreaming! More information on the Cultural Exchange Program is here. This is a year long programme, situated at the UK Pavilion in Epcot. You will either be placed within a Merchandise or Food & Beverage role. This program is all about sharing your culture with others from all around the world. Whilst working at the UK Pavilion, guests are experiencing what life is like from a British point of view. There are less positions for this program and usually more applicants, due to the requirements being more open. This programme will support your studies at University. This is also a 12 month placement. You will be placed into more than one role, where you will learn about different aspects of the company. I am not too familiar with this program, but the information for this will be on this page here. This role is kind of similar to the Cultural Representative Program, where you are situated at the UK Pavilion in Epcot. You will be placed in a Merchandise role, where you provide the guest with information on their family history. I believe this role is through an external company than Disney, so certain details can vary such as wages. If you have a passion for history and interacting with guests, then this would be a perfect option! And you also get to stay in Orlando for a year. How great is that? More information on this program is here. Where can I find more information on these programmes? 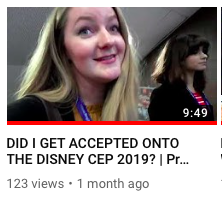 I would highly recommend giving Disney CEP/CRP/AEP/HRC or any other variations a search on YouTube. There are so many helpful videos by previous applicants online. This is my fourth time applying for the International Disney Programs. In the past, I had applied for the Cultural Representative Program and the Cultural Exchange Program. I applied for the Cultural Representative Program first, back in 2015. Looking back at my application now, I can see where I went wrong. I was talking about my passion for Disney and answering things very thoroughly but also, straight to the point. Almost like any other application for a job. With these applications, you really have to stand out with your personality and dedication to the reason why you are applying. The programs I applied to were very Cultural orientated, so it is vital to show what you would gain from that experience. Also, everybody applying for the job clearly loves Disney. We are all applying for the same reason, so there isn’t a need to go over the top with the Disney admiration! I got rejected from both applications for the Cultural Representative Program. So when I went back to university in 2016, I applied for the Cultural Exchange Program. I feel like I had grown up even more at this point (I was 24) and saw my application in a completely different light. 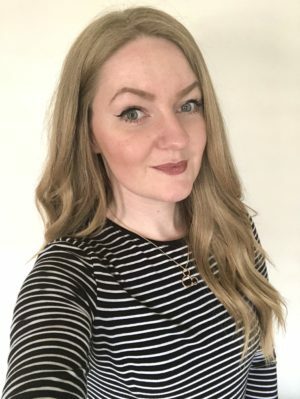 I managed to get a Pre-Screen Interview in London with Yummy Jobs and I was over the moon! I was so incredibly excited, but also nervous for this opportunity. I have vlogged both these experiences on my YouTube Channel, if you’d like to see more. I had heard about how competitive these interviews are, so it was only natural to gain extra nerves! The process is so exciting and filled with adrenaline and you will meet some of the greatest people. From my third application, I joined a Facebook chat where I met loads of great people. From there, I met other people at the Interviews which made myself more at ease. I have made some of the closest friends from that initial interview process that I am still in touch with each and every day. For the Pre-Screen Interviews, you will be situated into groups of 6-10 people. Some people in the past have said that you have to fight your way to get your answer in, and this made me so nervous! Luckily at both of my group interviews, my interviewer let everybody take turns to say what they wanted which was amazing. You will be asked a variety of different questions, from situations, general and more.. I won’t go into what questions we were asked here, as it isn’t too fair on other candidates! BUT I am almost sure you will be able to find some examples online. Unfortunately, out of the 7 of us in my close knit group chat; three of us were not successful. I was completely heartbroken at this point, mainly because I had fallen head first into the hype. All I was thinking of on a daily basis was what it will be like to work at Walt Disney World and I got completely absorbed! Positive thinking is really great, but also just keep in mind that you must be ready for disappointment also! Note: The other 4 from our group chat got passed the finals and had the most incredible summer! We were so happy for everyone and adored seeing all of their photos! This made us want to fight even more the next year for a place. Moving forward to 2018, I was hesitant whether to apply again for the program. This was my last chance, but I was not sure whether I could handle the disappointment twice. Note: To work at The Walt Disney Company, they do ask you whether you have any visible tattoos or piercings. I was very nervous about this aspect, as I have a sleeve on the bottom half of my legs and another small tattoo on my wrist. Turns out I was being completely paranoid about this, as it is clearly fine if you can cover these with make up or long sleeves. But bare in mind, this can also reduce the number of roles you can work as. Back to the process, I sent off my application not expecting too much! I thought that if I was unsuccessful the last time, then maybe they would not give me a pre-screen interview again. Again, I was overthinking this and was welcomed with an email invitation to a Pre-Screen Interview again! I was so incredibly excited about this. I remained calm, keeping the thought that this could either go successfully or unsuccessfully. I didn’t let myself get carried away this time! I was very calm throughout my group interview, met a lot of other incredible people again and then the long wait happens.. This was when I got nervous. I had never gotten past this stage before and I was not expecting too much. I kept telling myself that I seemed too risky with leg tattoos. Why would they want to tell Disney that they should employee me? Would Disney tell them off for accepting me? Alas, I just finished a class in university and I heard a ding come from my phone. I had an email from Yummy Jobs! The emails are usually called something like ‘Your Application’, so you have zero indication of what is inside. I had a sudden rush of adrenaline and worry come to me, and now one of my classmates had noticed. They told me to read it, and eventually I did..
Dear Zoe.. Thank you for attending..
That is all I saw before I started screaming and spinning around on my chair. I could not believe that this was happening, I really did not expect to get through and this was one of the happiest moments for me. 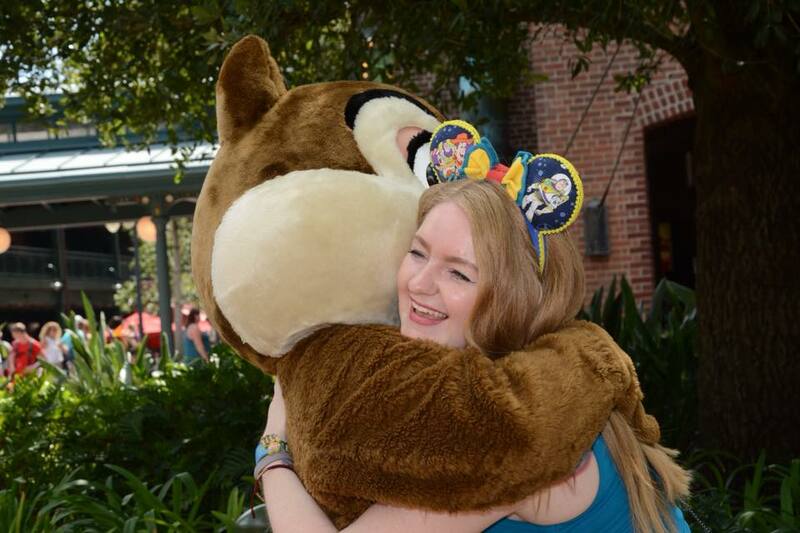 I had gotten a Final Interview at Disney Headquarters in London and all I could do was well up with tears. I rang my mother, who was a little wary about me applying again after I was so disappointed the previous time. She was screaming down the phone with cheer! I told my dad, he was chuffed! I had no idea what to expect at this point. I had heard a few things about the Final Interview, but was still in disbelief that I had gotten this far. I turn up to the Disney Headquarters in London, where we wait to sign in and watch other applicants coming in. Everyone seems to be ecstatic about this day, beaming with smiles and a little bit of nervousness at the same time. We get escorted upstairs to a Disney Cafe (apparently they sell Mickey Waffles, I did not witness this though!). We meet one of the members from Yummy Jobs, where they double check that we have all the documents we need with us. Then we are called in small groups of about 4 to follow a security guard upstairs. I nervously but happily hopped into the first chair outside the interview doors. We got called in by name, so the seating did not matter but it so happens that I got called in first! I was still out of breath from walking up all of the stairs at this point. Not sure whether it was the stairs, or my heart beating so fast in my chest, I go to shake my interviewer’s hand. I had a lovely lady who was so welcoming and full of smiles. I instantly felt so calm and full of chatter. The final interview is essentially them seeing which roles they could place you into, if successful. It is more like a chat, than an interview. You are asked the expected questions about what would you like to do, why do you want to work for the company..
Again, I won’t go into the questions in detail. The Final Interview was so much more relaxed than the Pre-Screens where all the nerves were. I was bouncing with adrenaline after my final interview and those few minutes seemed to go by so quickly. I feel like my words flew out at 3,000 miles an hour. I went back to Pret with India to wait for the other girls, as we had made arrangements before we went in to meet up. We all discussed how we felt it went, overthinking every little step. Then we went on a little adventure to the Disney Store as a little interview tradition. And that is basically how my final interview went! They do give you a rough timeline of when you will hear from Disney. They say that this will be from December 5th (approximately) to early January. Our interview was early November I believe, so we knew we had a long wait ahead of us. The longs days and long weeks went by, still constantly overthinking every little thing we spoke about. The end of November, we had our suspicions that the interview results could come out any day. Thanksgiving was over and the Cultural Representative Program applicants started to hear from Disney. We were eagerly waiting, each day constantly checking our inboxes. The moment that I stopped checking my inbox, I got into my car to drive home from work. I was listening to Panic! At The Disco’s ‘Hey Look Ma I Made It’. I turn off the ignition, go to unplug my phone from the charger..
As I pick my phone up, I get a quick glance at the screen and I see that I have an email from The Walt Disney Company. My heart is racing at this point. I was not ready for disappointment at this stage and was too scared to read it. Luckily when I glanced again, I saw the Subject of the email saying ‘Dear Zoe – CONGRA’. I freaked out completely, sat in my car in the pitch black rushing to open my email. I quickly grabbed my camera from my bag as I had been logging the process so I can look back on it in years to come. Tripod in my left hand, phone in my other.. I am screaming in my car, tears trying to squeeze from the corners of my eyes. Again, still sat in the pitch black and at this point, for a good five minutes. My mother starts screaming with excitement, I start screaming with excitement. The dogs don’t have a clue what is going on, so just start barking hysterically, although my dog is already excited to see me as I just walked through the door. I have this all in my vlog, which you will find on my Youtube Channel here. I rang my dad and put him on speaker and screamed down the phone the results. He was so excited and over the moon for me. This was my very last chance to apply for the CEP, as it was my last year in university. It was this opportunity, or never. The message behind my post is that all you can do is try. Go follow your dreams, if you don’t apply then you will never know what could have happened. The team might still think you are great, but they have to narrow down so many applications that it can be a really tough call. If you aren’t successful the first time, your consistency is a great sign that you are not willing to give up. I am a person that loves to take any opportunity in life possible. If I want to try have an experience to never forget, I will go for it anyway. For example, in Australia I saw a job application to work at the Australian Grand Prix. I have always been brought up watching this with my dad, so I thought I would apply as it would be absolutely incredible. A lifelong memory. I was not sure what they were looking for in an applicant, but I went for it and got the job straight away. And the experience was everything I thought it would be and more. So never give up on your dreams, take chances and make yourself an incredible life!